In today’s digital world, we know that much of the modern-day storefront is viewed from the screen of a mobile device or monitor. Commerce is no longer structured by physical distance and a global economy has made online competition fierce. This is exactly why the team at The Mechanism works so hard to make incredible web designs and intentional branding; we want you to stand out among the noise on the Internet. 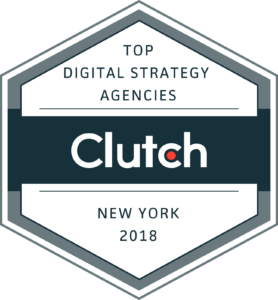 We pour our heart and soul into every client project that we have the privilege to work on, and that is why it is such a great honor that we received accolades as a Top New York City Agency of 2017 by Clutch. Clutch, a well-respected technology referral firm based in Washington, D.C., scours the globe to find the best technology companies in the world. They conduct customer interviews to ensure that every company that they recommend is reliable, communicates well and delivers amazing results. Companies that are approved and recommended by Clutch are evaluated on their market presence weighing factors such as the services they offer, clients they serve, and examples of quality projects they’ve completed. With such rigorous standards, The Mechanism is proud to land a place on Clutch’s New York City leaders matrix. Pele, one of the greatest soccer players of all time stated, “Success is no accident. It is hard work, perseverance, learning, studying, sacrifice and most of all, love of what you are doing or learning to do.” We are so excited to earn this incredible accomplishment and are proud of our hardworking, imaginative and knowledgeable team. We love what we do on the exciting forefront of technology, but our success is achieved only because our outstanding clients trust us with such important projects. The best reward that we get is when we exceed a customer’s expectations and bring their vision to life. When you love what we’ve created for you, that is true success. Dave Fletcher, Founder and Executive Director of The Mechanism was interviewed for the Cover Story in the latest issue of The Silicon Review. "Our experience is a differentiator which strengthens our ability to predict changes in the diversified, evolving business ecosystem. We closely follow futurist interpretations because we are engaged with its endless possibilities to enhance and help the planet and society at large. Also, our ability to work directly with any type of corporate entity or personality comes with our collective experience and fearlessness to take on any project that presents itself. I prefer to build relationships for the long-haul. Executives always move on to new endeavors and projects and have built a comfortability level directly with either me or my colleagues. These very intimate relationships, forged through trust, have served us well." "One of our crucial jobs as digital creative consultants is to help company leadership and their marketing teams understand as much as they can about the human beings they are reaching out to with their brand identity. No matter the size of our client engagement, their audience is always the gauge and the most important thing to focus on. First, we need to know what the audience wants and expects, and not what the leadership expects. It is a tough pill to swallow at times, because when you are working with large companies, there tend to be large egos involved at the top. There is nothing wrong with that, of course. It is definitely a large part of how they achieved success in the first place. Once we understand their audience fully, we can then examine industry trends and data, understand the CEO’s vision and investigate all of the things that are a part the brand or company. By looking at the audience first, we tend to find very useful information." November 4, 2016 - No Comments! Dave Fletcher, CEO of The Mechanism is defining digital branding in a new way by maintaining an interest in and working with tactile relationships; understanding what it means to interact physically with something – whether it is a brand or an experience, and interjecting the potential of a human being actually enjoying the interaction. Under his leadership, The Mechanism strives to create affection for clients’ brands by injecting organic, fluid and meaningful interactions into the digitally-driven solutions that they are creating. InsightsSuccess Magazine, described as an arch that is sustaining Entrepreneurs quench regarding technology and business update that is currently ruling the business world, featured The Mechanism's founder, Dave Fletcher in their latest issue in their list of Top 50 Creative CEO's to Watch. The Mechanism’s team is selected on the basis of acumen, longevity and belief that the future is brighter when people are able to connect with one another through technology. Dave is confident that The Mechanism will continue to function as an innovator and conduit for these types of technologies while maintaining a grasp on the humanity that is required for authentic relationships between people, their devices and brands, individuals or products. In the two-page interview, Dave candidly discusses The Mechanism's history, successes, and ways to continue to be innovative in the modern age. July 25, 2016 - No Comments! Our founder, Dave Fletcher was interviewed for CIO Outlook. "We will soon live with systems that interpolate Big Data seamlessly - by plugging directly into an artificial or ambient intelligence to manage your life, curate your interests, drive a vehicle, keep track of your day to day travels and never force you to remove yourself from an existing experience to use a website to research what the Network will already know you’re looking for. The next generation will be the “Mighty Untethered”, ubiquitously connected to the cloud. You and your friends and colleagues interests will be part of the system, and as they change, so will your personal experience to match your tastes. Diseases, dangers, economies and civilizations will be repaired on a global scale due to mass shared information and the artificial intelligence to be gained from it." The Founder of The Mechanism, Dave Fletcher, was interviewed in the recent issue of CTO/CFO Magazine about the company, their work and what surprised him over the past 16 years of running a company. CEOCFO: Mr. Fletcher, front and center on your site is “We use technology to develop authentic and affectionate interactions between human beings.” What does that mean day-to-day? What are you doing at The Mechanism? 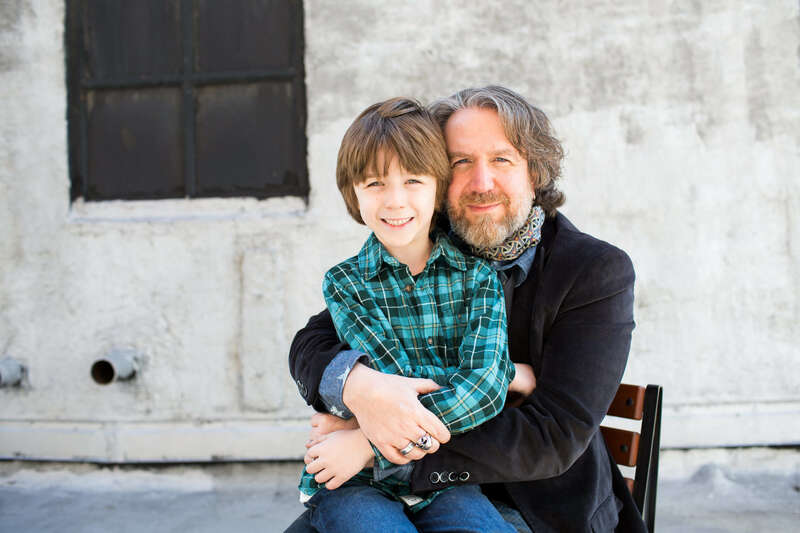 Mr. Fletcher: I founded the company in 2001, and have worked in the digital design field since 1996. One thing I discovered early on is that many digital agencies were focused purely on technology and programmatic solutions, and less so on developing human-focused, branded interactions. After all, whether it’s an app, a website or another hybrid interface, ultimately, there’s a human being on the other side looking to build a relevant, enduring relationship with a brand or product. Since my background is in brand identity development, I still maintain an interest and enjoy working with tactile experiences and understanding what it means to interact with something; whether it is a brand or an experience. Therefore, The Mechanism strives to create affection for our client’s brands by injecting organic, fluid and meaningful interactions into the digital solutions that we are creating. CEOCFO: When you are developing a concept for a client what might you take into consideration that less experienced people do not realize is important? Mr. Fletcher: The number one thing I explain to our clients is that no matter the size -- their audience is always the gauge – the most important thing to focus on. What does your audience want? What does your audience expect? Not, what do "you" expect. It is a tough pill to swallow at times. This is because when you are working with large companies, there tends to be large egos involved at the top. There is nothing wrong with that, because I believe that it is definitely a part of how they achieved success. However, I also believe that one of the most important things is to help company leadership (and their marketing teams) understand as much as they can about the people they are reaching out to with their brand identity. What do they expect? Where else do they go online? What are some of the apps they use? In knowing this, it helps us pull it back to a second tier, which is, “Let us look at what else is going on in your industry by examining trends and data, and let us look at all of those things that are a part of who you are as a brand or company.” By looking at the audience first, we tend to find serviceable information. CEOCFO: On your website it indicates you do select projects on the basis of their challenges and opportunities. Do you know pretty quickly when you are first talking with someone if the project is right for you? How do you know? Mr. Fletcher: We look at projects that have a meaningful impact. I know that sounds like kind of a bogus response, but we really like working with clients that are either doing good for other people, helping people succeed, or helping people enjoy their lives or their work lives. It is funny, because when you focus on positivity, if someone contacts you and has a well funded, but personal project that may not have a positive impact on a larger scale, it is easier to turn them away. In rare cases, we will look at a project on the basis of what the long-term ramifications are. When we worked with Flight of the Concords, for example, we enjoyed the music, and they were nice guys. Over the years, we have gotten a lot of interest for potential employees and interns from that client. Was it a financial windfall because we worked with them? Absolutely not. But that's ok, because from a business standpoint it was something that helped us to build reputation. Therefore, occasionally projects will come along that are reputation builders and not the most financially fantastic.